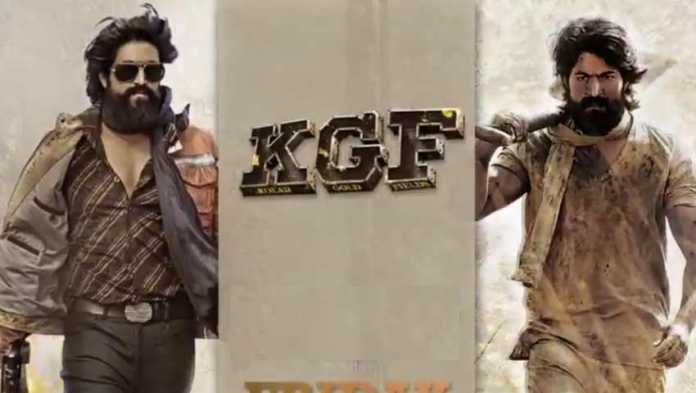 A Rocking star Yash starrer KGF Movie joined the 100-crore club and is still being received well by the public. After staying true to the hype created, KGF Movie Digital Rights Acquired by Amazon Prime Video. The Prashanth Neel directed KGF seems to be setting new records every day. Sources say that the KGF Movie Digital rights were obtained by one of the major digital distributors Amazon Prime for Rs 18 crore. Amazon Prime Video is said to have brought the digital rights of KGF Full Movie Released in all South Indian languages like Kannada, Hindi, Tamil, Telugu, and Malayalam. As you all know, of late online streaming apps like Amazon Prime and Netflix show hit movies of the year. And, most of the regional film rights are purchased by Amazon Prime video. This year, a slew of Telugu films Rangasthalam, Bharat Ane Nenu, Mahanati, and few other films were made available on Amazon prime. Looks like, the time has now come for Yash’s KGF Movie which has shaken the whole nation with unique content and gripping screenplay. Vijay Kiragandur has produced the film under the banner Hombale films. KGF is written and directed by Prashanth Neel. The KGF film stars Srinidhi Shetty and Anantnag in prominent roles while Tamannaah Bhatia is seen in a special song.